Nick Hill had a rough upbringing, but along the way he learned to stand up for himself and fight. The trouble was, he didn’t realize where the real battle lay, or who was in the fight—for him or against him. 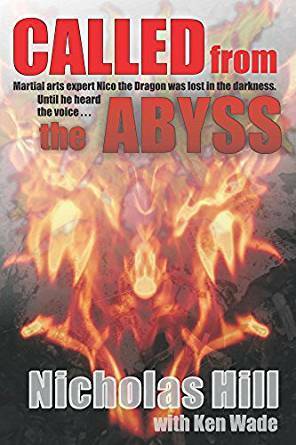 As martial-arts-expert Nico the Dragon, he taught others to defend themselves and starred in movies, playing the tough guy who always came out on top in a fight. Off-screen though, he was sinking in a pit that seemed to have no bottom. All he wanted to do was die overdosed on crystal meth. Then the voice that had spoken to him as a child returned, calling him to make a promise. Today he lives by that promise, devoting his life to saving others from making the sort of wrong choices that nearly robbed him of his life. Called from the Abyss tells the story of a man rescued from the brink of death, now devoted to saving others through an amazing gift: The Spoken Word.